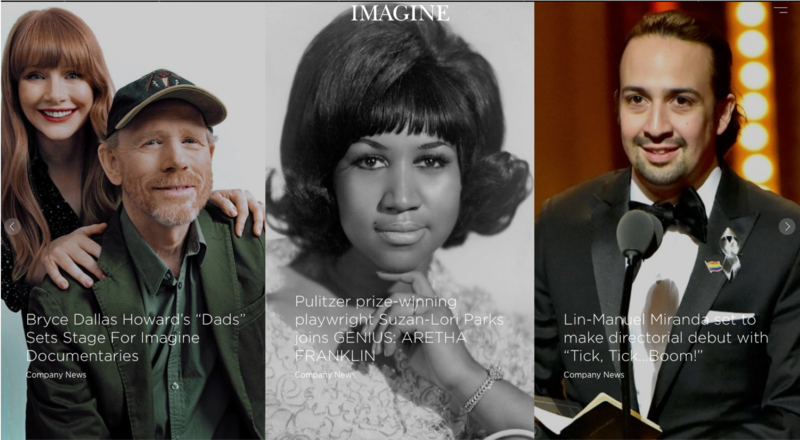 Imagine Entertainment – Lists upcoming releases and provides biography of founders. – Lists upcoming releases and provides biography of founders. Ron and Brian first collaborated 35 years ago and are one of the longest running partnerships in Hollywood today. With an instinct for what stories matter, they create their films, television shows and documentaries by uncovering what lives at the core of the material and shaping the storytelling to guide the viewer to make their own personal and emotional connections.